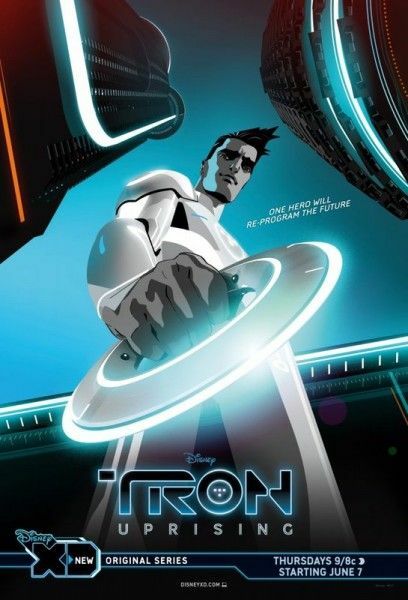 The animated series TRON: Uprising, premiering on Disney XD on June 7th, takes place after the 1982 feature film and before the events in TRON: Legacy. Produced in CG animation with a 2D aesthetic, the series follows the heroic journey of a new character named Beck (voiced by Elijah Wood), a young program who becomes the unlikely leader of a revolution inside the computer world of The Grid. You can watch the first episode here. 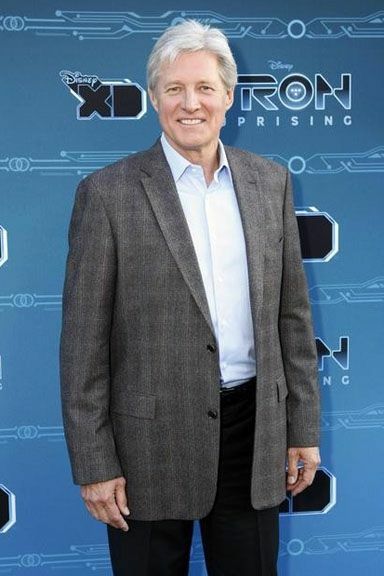 At a press day for the show, TRON universe veteran Bruce Boxleitner – who reprises his role as Tron, once the greatest warrior of the system but now just a scarred man who sees potential in Beck to become his successor – talked about how surprised he is that TRON has sustained for so many years, what made an animated series the logical next step, and why he’s decided to stick with the Tron character all this time. Check out what he had to say after the jump. Question: Has it been surprising to you, that with so much time since the first film, the TRON universe is still going? 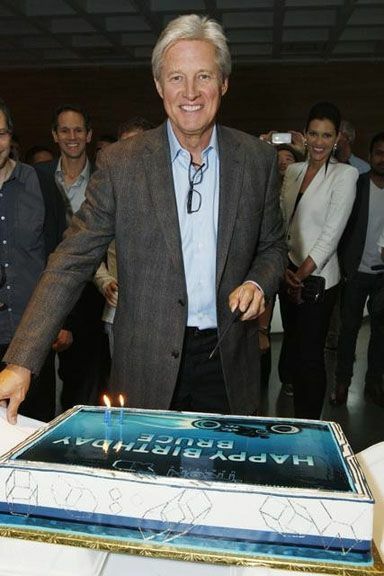 BRUCE BOXLEITNER: Oh, yeah. The original movie is more popular now than it ever was in the 1980s, for many, many reasons. I do a lot of fan conventions and I would say that 85 to 90% of the everybody that comes up to me talks about TRON. It’s not about Babylon 5, or anything else that I’ve ever done, sci-fi or genre wise, and that’s great. When it was initially happening, after the original movie, I was perplexed by it and thought, “Wow, you actually saw it? !” And then, as the years went on, somebody was constantly walking up to me to say, “Because of TRON, I went into computers.” It was something that actually influenced people. You don’t really see that a lot in Hollywood. With the things that you do, you wonder if anything resonates, and TRON did. I think TRON came along at a time just before all of this gadgetry that we have now. In its own naive, sweet way, it predicted a world unlike a lot of science fiction that took us places we would never actually experience. We’re actually experiencing some aspects of the original TRON story, with technology and video games. We had these big wall-size arcade games. TRON reflects the age of information that it was predicting. This generation has grown up with it. I come from before all that. We didn’t need cell phones. We got along perfectly without them. We didn’t need computers. What the hell would you want one for? We didn’t know what they were all about, when we were doing the original movie. IBM had computers. You didn’t have one in your house. If you did, it was a big primitive-looking thing. Now, you can’t go anywhere without some kind of device, and that’s related to this. Animation certainly reflects that. Look at how early video games looked, and then look at the video game world now. We’re making movies based on video games. What an absurdity! But, it’s the truth. They’re cinematic and so lifelike now, compared to Donkey Kong. The movies also reflect that. Why was an animated series the next step in the TRON universe? 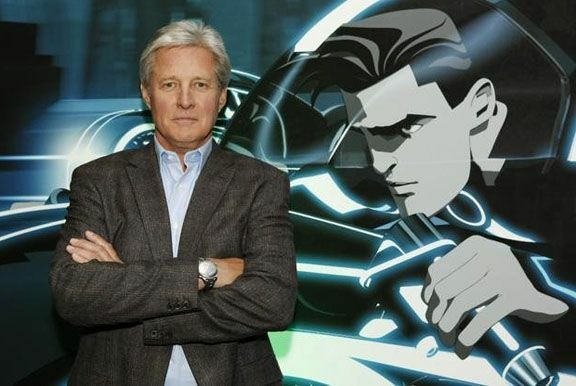 BOXLEITNER: Our animated series is just another great venue for the TRON mythology. It speaks to it, right away. An animated series makes sense. And now, TRON fans can also get their fix, every week, for awhile. It fits in very nicely with the mythology that we’ve set up already because it falls between the films. I think it’s fun. The one thing about TRON is that it has diehard fans, ever since the beginning. Not everybody is into TRON, but the ones that are, are into it all the way. What I love about the animated series is seeing what they come up with. The character is consistent, in many ways, but there are always new aspects that come out. In the series, he’s very much a harsh task-master. He really beats the living daylights out of Beck. It’s really tough love. And, because you have a young guy who is very insecure about himself and what he feels and thinks, his own self-confidence isn’t there. What’s fun with this Tron character is to play this guy who is very beaten-up and scarred, and who needs this protégé to continue on the rebellion. There’s a tender side, too. (Director) Charlie Bean pushed me. 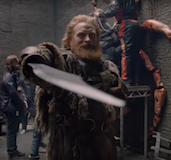 Did you and Elijah Wood get to work together, at all? BOXLEITNER: We only worked together once, the whole time, and that was at the very beginning when we first auditioned this for the powers-that-be at Disney, but were never in the booth together again, unless that’s just my selective senior memory. But, Charlie really tried to squeeze every nuance out of everything we said. We tried to find Tron’s voice in this. I had to have a very different voice. This guy is beaten-up and battle worn, and he has much more maturity to him. Half the time, I’d walk out of the sessions wanting tea and honey afterwards. Charlie would make me do the lines over and over and over again. I’m actually Beck to his Tron. But, he was trying to hear it. He’s really exceptional in his delivery of the product. Why have you decided to stick with TRON for so long? BOXLEITNER: I decided, way back, that I embodied this character, in the first place, so I’m going to be the only one that plays him. That’s it. I didn’t know this animated series was coming. I never saw any of this coming. It was just a job. We did it, and then we hung up our tights and went home and on to other projects, never thinking this would come back again. Now, those same old, stinky tights are in a Disney exhibition that’s traveling across the country. I’m sure Jeff [Bridges] is as amazed. We didn’t get to work on TRON: Legacy together, too much. 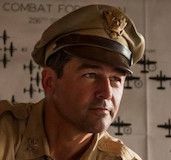 We had a lot of versions of the script, until we came down to the one you actually saw, so I saw Jeff all the time, during that. We’d goof off with each other, just the way we did 30 years ago. It was amazing. You’re known for sci-fi, but also for doing Westerns. 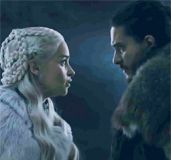 Do you see them as being similar, since they’re both essentially morality stories? BOXLEITNER: I totally agree. The Western is America’s King Arthur and the Knights of the Round Table mythology. And certainly, there are certain qualities in the journey of any hero, no matter what. That’s true for the Western, and that’s true for TRON. They are both good vs. evil morality tales. Our heroes are the common man or woman who rises above great challenges to finally succeed. That happens in any number of Westerns, and that happens in The Grid, too. Tron just had those incredible discs, instead of a gun. TRON: Uprising will air on Thursdays on Disney XD, starting on June 7th. For more on TRON: Uprising, here’s our interviews with Elijah Wood, Mandy Moore, Emmanuelle Chriqui and Paul Reubens.